Vivo has taken the covers off a stunning concept smartphone at MWC that it calls the APEX FullView with an incredible 98 percent screen-to-body ratio. To achieve this feat, the company has introduced new engineering technologies in the camera, speaker and sensors coupled with rethinking the design structure of traditional smartphones. The concept design also debuts a claimed world-first half-screen in-display fingerprint scanner. Vivo says that it was able to achieve such a high screen-to-body ratio by using a flexible OLED panel for the display. This allowed it to mount microchips directly to its flexible circuit board. It was also able to remove the requirement to integrate a speaker into the front of the device by using what it calls Screen SoundCasting technology to turn the display itself into a speaker. The front camera rises from the body in 0.8 seconds when required before retracting after use, further minimizing the footprint of the top bezel. 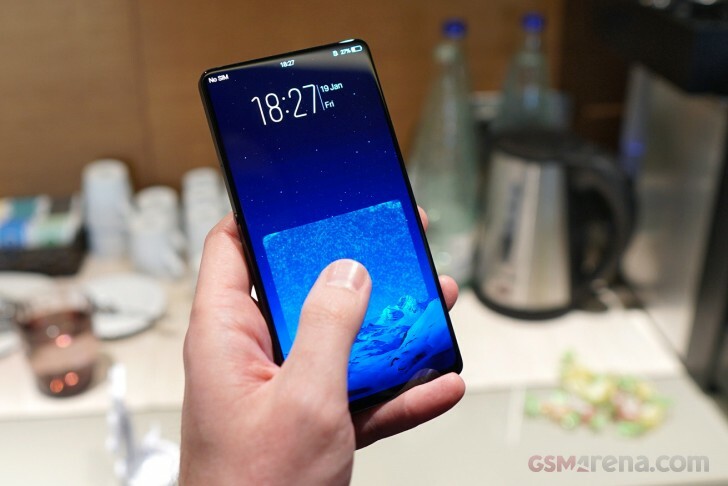 While Vivo pioneered under-screen in-display technology in the Vivo X20 Plus UD earlier this year, the latest incarnation allows a user to place their finger just about anywhere on the entire bottom half of the display, rather than in a localized area near the bottom of the display. The company says that it has also deployed a new System in Package (SIP) technology to integrate the DAC and three amplifiers together, reducing the circuit board space by 60 percent. Vivo has not said whether, or if, it plans to start production of the APEX. Even if it doesn’t make its way to market in its current form, it certainly showcases the direction that future smartphones are likely to take.